Cannabutter is the key ingredient in many marijuana edibles. As such, we use it to replace butter in many recipes ranging from pastries to pasta. Aside from the added nutty flavor, many people like to use marijuana this way since it gives a long-lasting “high”. For marijuana patients, it is the most common and simplest way to consume their medications. In making cannabutter, we extract the psychoactive THC in marijuana and mix it with butter. It’s important to think “low and slow” which means heating the butter slowly over low heat. Doing this allows the full activation of the THC without burning other cannabinoids. As a result, we get a nice and smooth texture that is easy to infuse with various snacks and meals. So, how do we make this delicious and healthy ingredient? In this article, we will go through the easy steps on how to make the best cannabutter at home. But first, it’s important to note that aside from the buds, we can also use leaves in making this special butter. But remember to use only the ones closest to the flowers to ensure high THC content. There are several ways to make cannabutter, but for this article, we will cover the easiest and quickest. Let’s start by covering some basics regarding the ingredients. 100 grams Unsalted Butter When it comes to butter, the fancier brand is always better. While it’s okay to use ordinary brands, we find that high-quality butter gives a smoother taste. This is because it holds less water, and thus more butterfat content for the cannabis to infuse with. 100 ml Water The purpose of water is to regulate the temperature in the pot or cooker so that we don’t scorch the butter. More importantly, it prevents the cannabis from evaporating during the cooking process. Since its amount reduces as we cook, it is okay to add more water as needed. 5 grams Ground Cannabis Flower or 100 grams ground leaves Basically, the more marijuana we use, the stronger the effects. Inversely, lessening the leaves and buds will give a lighter dose. Use this cannabutter dosage calculator for extra info! For a smoother cooking process, it is best to make sure that we have all the necessary equipment. This includes the following items. Before diving into the cooking process, we highly recommend decarboxylating the marijuana first. 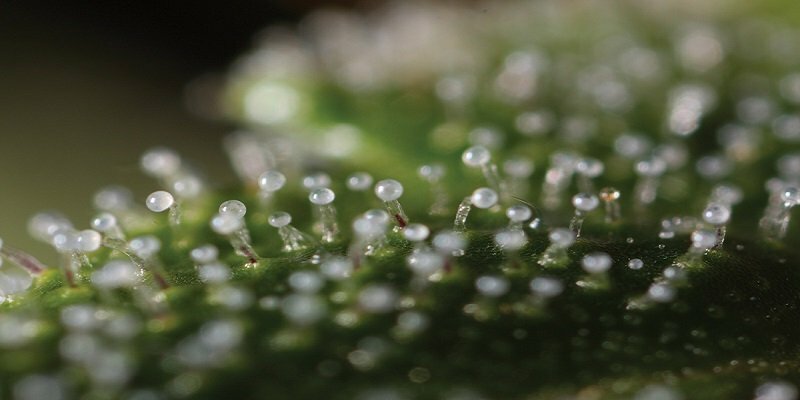 This process changes the cannabis from its acid form to its psychoactive structure. To achieve this, the marijuana must be heated much like what we do when smoking a joint. In making edibles, we can easily do this by grinding the marijuana then bake it at 250 degrees Fahrenheit for 30 minutes to 1 hour. When done properly, this activates the cannabis and gives it a roasted nutty flavor. The concept of decarboxylation explains why we can use the remnants of vaporized marijuana in cooking. Since it’s possible some of it did not get properly burned during vaping, it follows that it still has usable THC. Now that the marijuana is ready for cooking, let’s get right into the action. In a medium pot or saucepan, melt the butter over low heat. Add the water to regulate the temperature and to prevent the butter from scorching. Simmer on low until it starts to melt. Once the butter melts, add the decarboxylated marijuana a little at a time. Make sure to stir it well into the product. The length of time to let the product simmer ranges from 45 minutes to 8 hours. Some people like to slow cook their cannabutter for several hours more, but it can be ready in a shorter time. The rule of thumb, though, is that the longer we let the cannabis simmer, the more cannabinoids are infused with the butter. In the end, it’s up to preference and convenience how long to continue simmering. But remember to stir it every now and then. At this point, we can see small bubbles starting to form at the surface. After simmering, use the strainer with the cheesecloth above it to filter the marijuana from the final product. Then with the spatula, squeeze the remainder to make sure we get all the liquid from the cheesecloth. Be careful in handling it since it’s very hot. Finally, discard the leftover and don’t use it for anything else as it is now useless. Let the fluid cool for about an hour. At this point, we will see that the product has a vibrant green-tinged. Cover it and refrigerate overnight for best results. As it hardens, the butter separates from the water and is now easy to lift with a spatula. Discard the water and slice the cannabutter into pieces of preference. Finally, we now have a cannabis-infused butter that is ready to use. If the product is tightly wrapped in plastic or kept in a tightly covered container, then it can last in the fridge for 6 weeks. It can even last for up to 6 months in the freezer. To avoid damaging the quality of cannabinoids, don’t use the microwave to soften the cannabutter. Simply let it sit at room temperature until it’s ready to use. Aside from butter, we can also use coconut oil, milk or cream, and tinctures to infuse food with cannabis. In all options, remember the importance of decarboxylating the marijuana first to get a THC-rich infusion. As mentioned, cannabutter makes it possible for people to enjoy marijuana with their favorite recipes. Essentially, it improves the health benefits of food while giving the consumers a latent “high”. As it increases in popularity, more people want to make it and experience the benefits themselves. While making it can be tricky, understanding the process makes it a whole lot easier. If we do the important steps, such as decarboxylating the marijuana first, then we can get a potent product that can last for weeks. With practice, we can develop the skill and improve the quality of our cannabutter over time. Don’t throw away your used leaf. I put the whole amount into a smoothie and got quite the buzz. And less waste! We agree with you, not to mention it's healthy too! A great addition to your smoothie indeed.